"Auto racing began 5 minutes after the second car was built" - Henry Ford. Do you ever dream of becoming a race car driver, or even build one? We at Mavericks Racing do it all the time. We are Mavericks Racing - the official Supra racing team of Thakur college of engineering and technology, Mumbai. Established in the year 2017, our passionate senior team members have participated in national competitions like HVC (Hybrid Vehicle Challenge) and Baja ATV Competition. Gaining respectable knowledge and results, we ought to participate in the Supra 2018 Event. 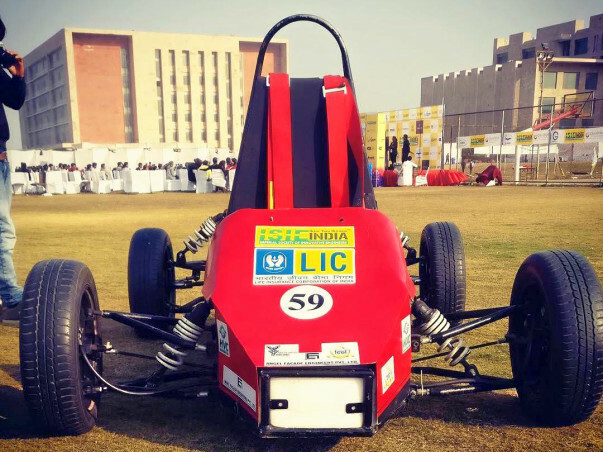 About the Event - Supra 2018 is an inter-collegiate national level competition consisting of engineering, designing, planning, manufacturing, racing and marketing a Race car built by the team. More than 100 teams from all over the nation participate anually in this event. Our Previous Results- We participated in the HVC ( Hybrid Vehicle Challenge) held at Buddh International Circuit where we outperformed many teams to gain 6th position in the Virtual Round. This year will be our Debut in Supra. Help us raise Rs. 2,00,000 in 50 days for our race Car Project! Thank you so very much for your valuable support. The money collected through the fundraiser will be used for buying raw materials for our chassis manufacturing phase. The estimated cost for raw material is INR 21,000 out of which this campaign will help us in pre-booking the materials. We, once again, thank you all for being so generous. Please keep supporting us.